As the nation pulls closer to the February 2019 general polls, like other well-meaning Nigerians, I have gained new awareness to the fact that there are but three kinds of intelligence – one kind, understand things for itself, the second appreciates what others can understand, and the third understands neither for itself nor through others. While the first is excellent, the second is good and the third useless. Keeping details in perspective, when the above words of Pandolfo Petrucci, Prince of Siena, are placed in juxtaposition with recent vibes/comments from Nigerians living under the ‘curse’ of democracy for almost two decades, it is clear that electorates who hitherto were ignorant and innocent of politicians’ instinctive urge, have suddenly gained excellent intelligence to understand for themselves, and interprets for others two strong and valuable political lessons. The first and most radical being that leadership in the country consists essentially of salary-taking devoid of creative thinking or bold/innovative ideas. The second is; when electorates seek a particular privilege, they lose much as are in common. This second point stems from Nigerians’ (electorates) time-honoured actions which were consistent with individualism and lack of collectivist’s orientation. Without minding the fact that today, the emphasis is changing; it’s painfully obvious that throughout the past decade, for example, the masses were presented with opportunities to elect leaders that would build the Nation of our dreams. But either by choice or by accident, they voted based on instant gratification as against conscience, forgetting that the value of every system depends on how it is employed. Having done this, it created a situation for politicians whose promises cannot be rested, or their carefulness to test, adjust, and adapt before incorporating new features into the system trusted, and seize the superior positions traditionally occupied by the electorates, fracturing the nation’s geography into polarized ‘ethnosyncrasies’ and idiosyncrasies. At this rate, it is no coincidence that myriads of sociopolitical contradictions conspire daily against the country; giving it an unenviable tag of a nation in constant search of social harmony, justice, equity, equality, and peace with no meaningful solution. It becomes particularly painful now that scandal upon scandals have completely laid bare the anti-corruption stance of successive administrations with their promises of economic resuscitation turned to a mere declaration of intent. And sadly, it is by no means over. But thankfully, today, the question is not whether there shall be a general election come February 2019, but will the masses win and regain the political playing field? As we know, power is but a human creation and the ultimate sovereignty to determine the direction the country should go lies with the masses via legitimate and democratic means of enthroning desirable leadership. Explicitly, aside from obtaining permanent Voters Cards (PVC), there are in my observation so many major actions expected of the electorates. 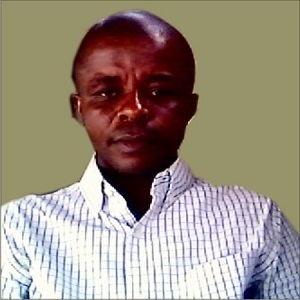 Similarly, as someone that strongly believes in the unity of Nigeria and may not agree with the campaign of any group or ethnic nationality to dismember Nigeria, the truth must be told to the effect that the whole gamut of restiveness, whether in the Southeast, South-south, North or Southwest, and resurgence demand for the dissolution of Nigeria stem from mindless exclusion, injustice, and economic deprivation. However, it is not enough to say this as realty does not come automatically just because one realized where the key factors lie. During a period such as this, Nigerians must work passionately and indefatigably to elect as leaders integrative problem solvers. Those that can clearly meet the people’s needs better than the available alternatives and sincerely support the restructuring of this nation, or have the political will to holistically implement the report of the 2014 National Conference; as implementing the report is germane to the survival of the Nigerian which is right now in its most fragile state since the end of the civil war. Having done this, we must turn to the question about the qualities of our lawmakers (at federal/state Assemblies). In my view it will be highly rewarding if Nigerians can appreciably defocus on whom becomes their president or state Governor and pay a disciplined attention to the qualities of their lawmakers as there can never be a good president or state governor without good lawmakers that provides the needed checks and balances and to a greater extent, rule of law. Ensuring this framework is effective as the rule of law makes us stronger by ensuring that decisions will be tested, studied, reviewed, and examined through the processes of government that are designed to improve policy. And the knowledge that they will be reviewed prevents over-reaching and checks the accretion of power. Next, throughout the past decade, for example, our nation has been flooded with captivating development vision, policies and plans, but impoverished leadership and corruption induced failure of implementation of development on the part of the political leaders has led to underdevelopment in the country. 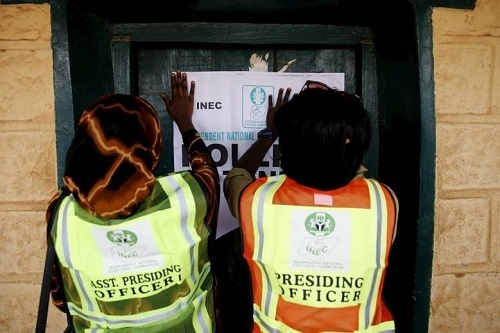 Finally, I am aware that the Independent National Electoral Commission (INEC) is a major factor when discussing the success or otherwise of any election in Nigeria. But, if electorates are able to go out with this faith and determination to solve these problems come February 2019, and effectively navigate out of dangers of disintegration, it will once again announce the arrival of a brand new great nation where peace and love shall reign supreme.